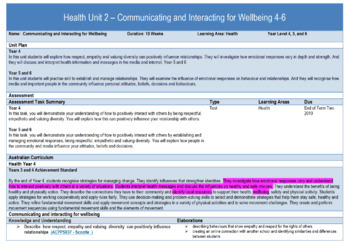 Health Assessment Booklet - Communicating and interacting for wellbeing. 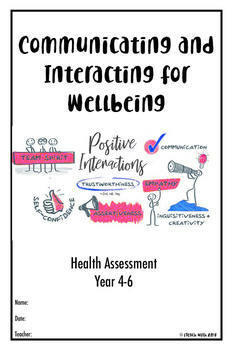 Health Assessment Booklet Communicating and interacting for wellbeing with Marking guide for year 4, 5 and 6. Covers emotions, dimensions of health, positive role models, bullying and role plays. 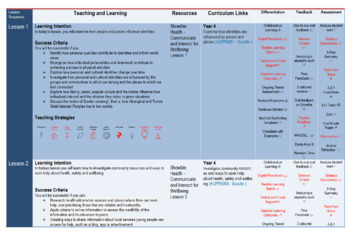 Sequence of learning including differentiation, feedback, teaching strategies, learning intentions and success criteria. Differentiated and covers the Australian Curriculum for years 4-6. Free Download: Download Adobe Acrobat Reader to ensure it prints properly.